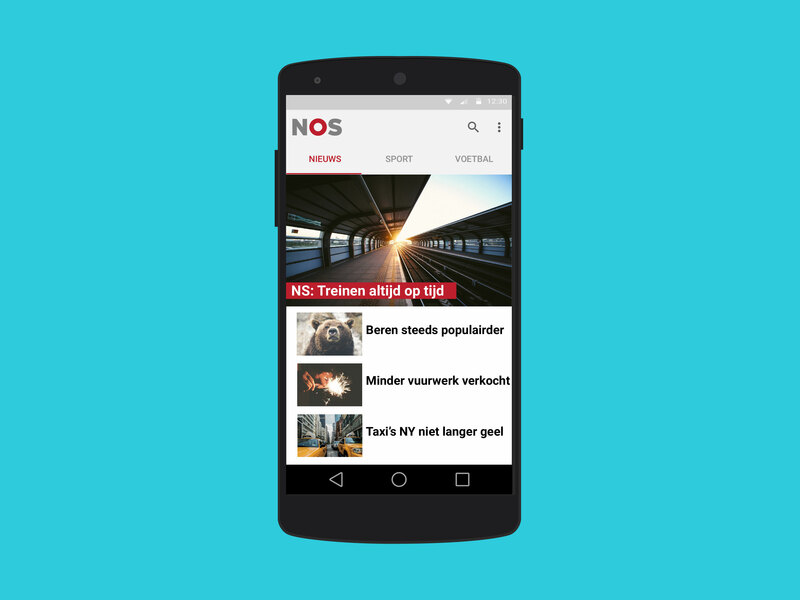 NOS is the largest news organisation in the Netherlands. They write about all kinds of news in multiple categories. In their app they use a hamburger menu to hide/show all these categories, but I think the interaction is a little weird. When a user sees a hamburger button he expects a menu to slide open from the left, but in the NOS app the menu opens from the top. I decided this could be done better, so I redesigned their app, but used tabs instead of a hamburger menu. This way, a user can easily see which categories are available and easily swipe through them. I also created a tablet version with a layout that’s better suited for a larger screen. When reading an article, a user can already see part of the next and previous article in that category and easily switch to it.